The reading will be held Friday, May 1, 2015, at the Museum of Modern Art. If you’re not in New York, browse the One-Way Ticket website and write your own ekphrastic poems. 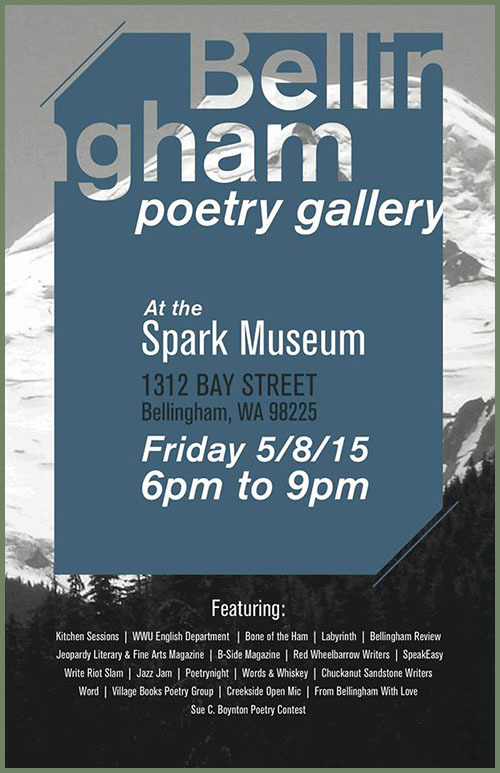 Mark your calendar for Friday, May 8, 2015, and come hear the diverse poetic voices of the City of Subdued Excitement at the first Bellingham Poetry Gallery. Eighteen of Bellingham’s literary organizations will introduce themselves and their poetry at an evening of performance and creative cross pollination. Coordinated by Erica Reed, this free event, at The SPARK Museum of Electrical Invention, begins at 6:00pm with mingling, snacks and the musical stylings of Jeff Reier. Poetry begins at 6:30pm and the evening will wrap up at about 9:00pm. See the full description on Facebook. quote: The Granta Book of Reportage, Ian Jack, ed. If you enjoy hearing poetry well read, listen up. The Archive of Recorded Poetry and Literature at the Library of Congress contains some two thousand items, which are gradually being made available online. The Poetry Streamer is The Cortland Review’s radio station of poetry. It streams all the publication’s poetry recordings from the past 15 years in random order. Now and then we like to update our list of poets laureate. Links are provided, where available, to the poet’s own website, the announcement or the appointing agency. 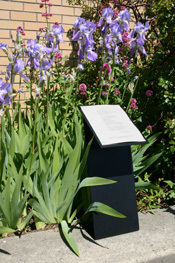 Elizabeth Austen continues as the Washington State poet laureate (2014-16). Peter Sears is Oregon’s new poet laureate (2014-2016). Michael Dylan Welch rounds out his term as Redmond’s poet laureate (2013-2015). Cathy Nguyen has just been appointed as Tacoma poet laureate (2015-2017). Rachel Rose is serving as poet laureate of Vancouver, BC (2014-2017). Ina Whitlock continues as poet laureat of Vashon Island (2013-2015). Yvonne Blomer and Zoé Duhaime have been appointed poet laureate and youth poet laureate, respectively, of Victoria, BC. Seattle is getting serious about its poetry profile. The other day we posted about the city’s search for a Youth Poet Laureate and now we learn that Seattle is also seeking a Civic Poet. While the call for applications does not use the term poet laureate, the role and responsibilities sound similar. The Seattle Civic Poet will “serve as a cultural ambassador,” offering “five annual performances” as well as “hands-on work with communities to engage constituents city-wide.” The position is “open to Seattle-based poets who have an established body of work including published works and/or spoken word experience.” The application deadline is May 28, 2015. Read more here.